Valentine’s Day is just around the corner! And there’s no gift she’ll love more than a piece of luxe, precious fine jewelry. To help you choose the perfect new piece, we’ve put together this Valentine’s Day diamond jewelry gift guide, highlighting some of our most highly desired jewelry. SALE ALERT: Order Soon! 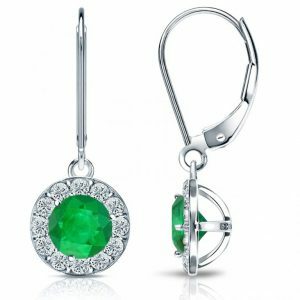 Take Advantage of Our Limited Time Valentine’s Day Diamond Jewelry Sale! Right now, to celebrate the most romantic day of the year, we’re offering some can’t-miss sales! Our entire site is currently 20% off (plus, each purchase includes a free gift), and select V-Day Deals pieces are 40% off. All orders come with free guaranteed delivery by Valentine’s Day!  Baguette Diamond Huggie Hoops in 10k White Gold – 40% OFF! 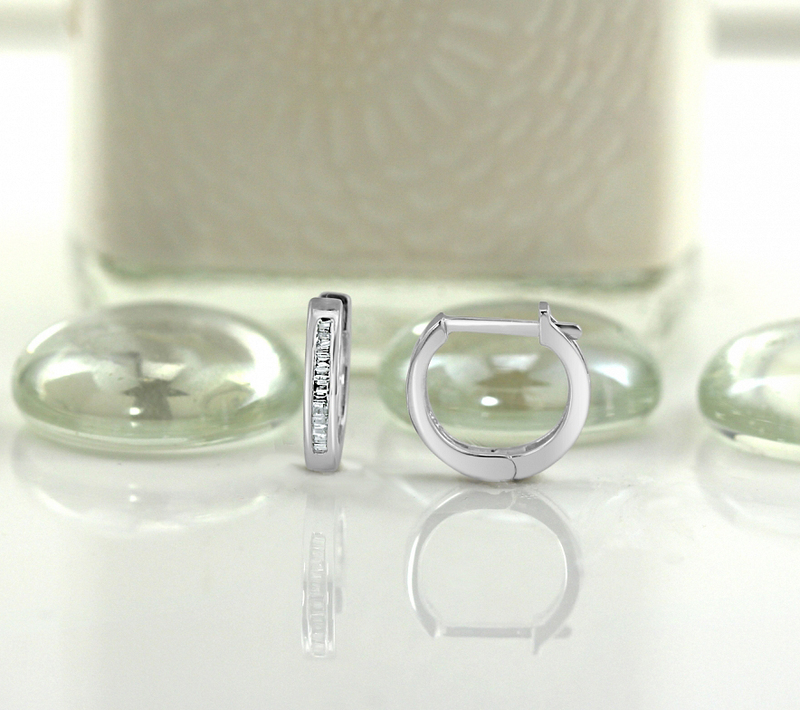 These modern, brilliant huggie hoops are perfect for everyday wear. On each sleek hoop lies a row of gorgeous baguette diamonds, channel set in 10k white gold. These contemporary beauties add just the right amount of shimmer to elevate any ensemble. Round Diamond Tennis Bracelet in 14k White Gold – 40% OFF! 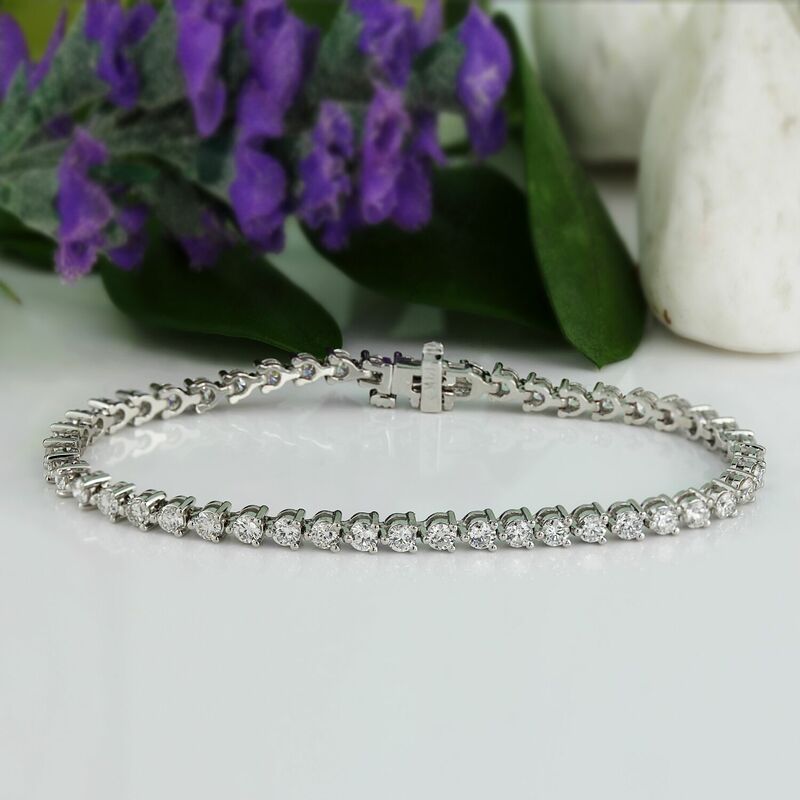 There’s no accessory more timeless than a diamond tennis bracelet. This chic tennis bracelet features two total carats of stunning white diamonds, which rest in prong settings along a 14k white gold bracelet. The settings used here give this chic piece an enchanting, scalloped silhouette. 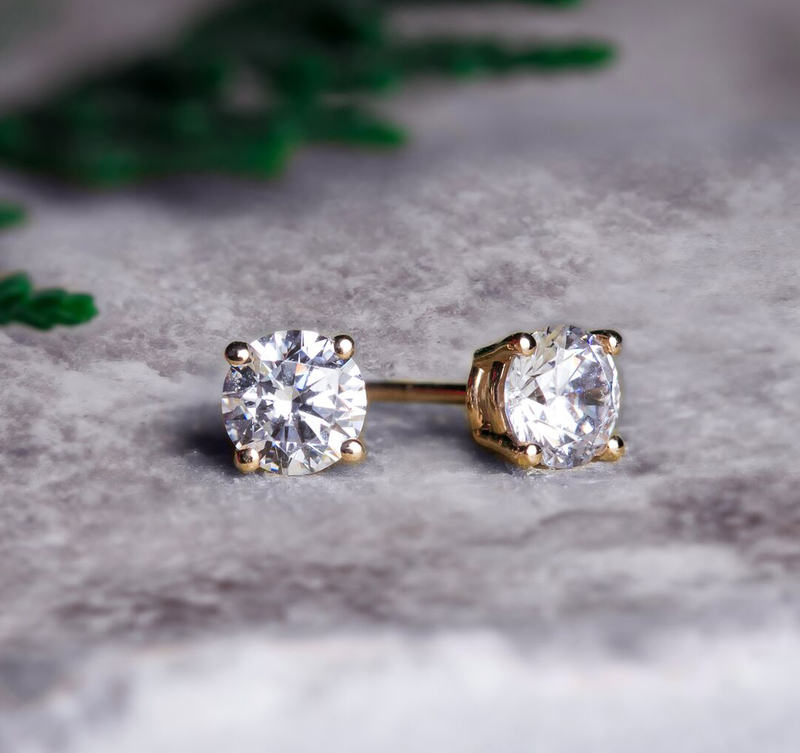 Cushion Cut Diamond Stud Earrings in 14k Yellow Gold – 40% OFF! 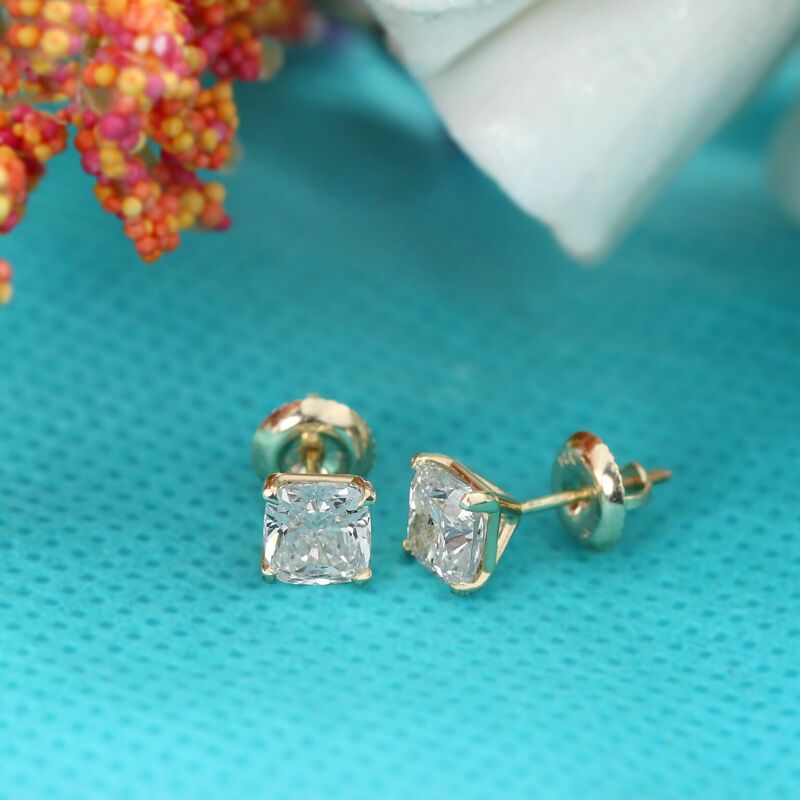 Create a memory that will last a lifetime by gifting these exquisite cushion cut diamond studs. These studs feature two cushion cut diamonds, which together total 2 carats, set in traditional yellow gold four prong basket settings. These settings allow for excellent light entry, enhancing the shimmering, fiery beauty of the featured cushion cut diamonds. 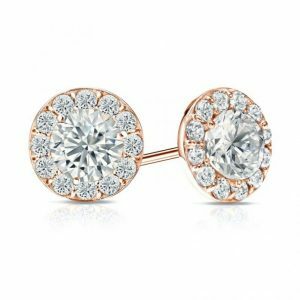 Round Diamond Stud Earrings in 14k Yellow Gold – 40% OFF! If you’re looking for a can’t-go-wrong gift, look no further. 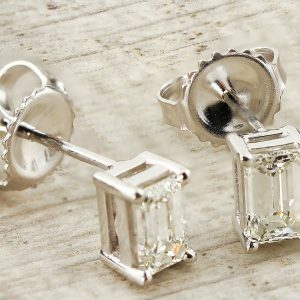 There’s no piece of jewelry more elegant, beautiful, and wearable than a pair of round diamond studs. Round diamonds are the most popular diamond shape— and for good reason. 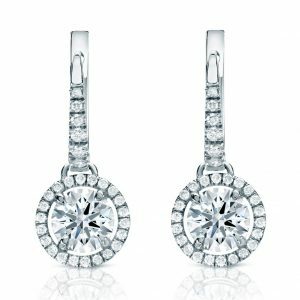 They have a classic look, and they also have the highest brilliance of any diamond shape. In this featured design, two mesmerizing round diamonds have been set in four prong basket settings crafted from 14k yellow gold. 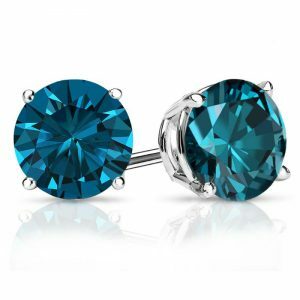 These stunning studs are sure to dazzle this Valentine’s Day. Halo Pear Shaped Pink Sapphire and White Diamond Drop Earrings – 20% OFF! 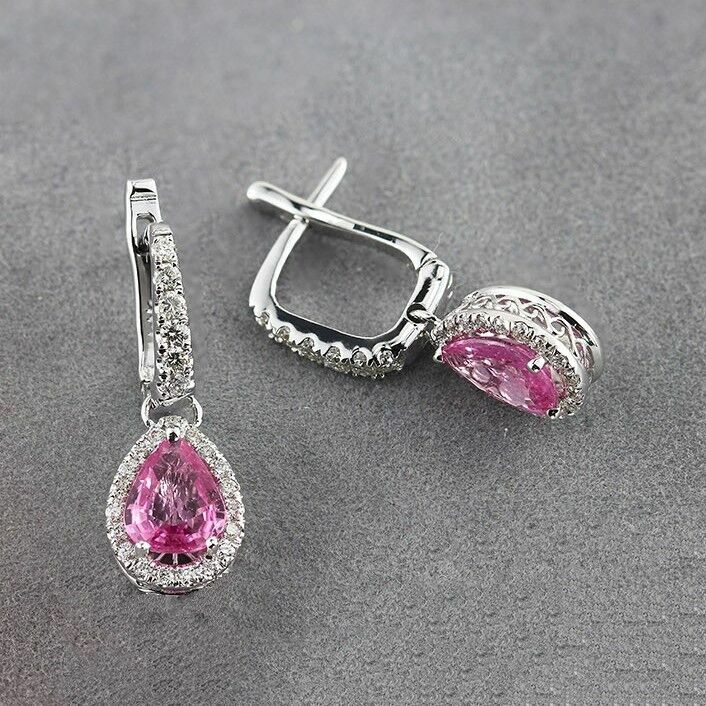 These pink sapphire and white diamond drop earrings are endlessly romantic. In this design, two stunning pear shaped pink sapphires have been enclosed in dazzling white diamond halo settings. The halo set pink gemstones dangle gracefully from hoop enclosures set with gorgeous round diamonds. These luxe, unique earrings make a beautiful and thoughtful gift and the pink sapphires make it a perfect jewelry gift for Valentine’s Day. Browse our collection of pink sapphire and diamond studs here. Want to see even more dazzling pieces perfect for Valentine’s Day? Browse our Valentine’s Day Deals Page! 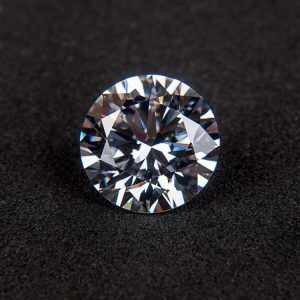 What Does Ethically Sourced Diamond Mean?